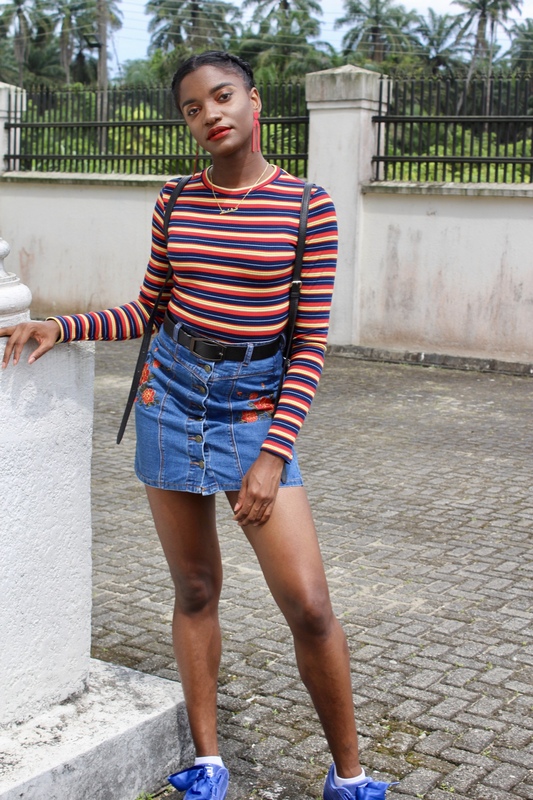 Welcome back to my ‘Summer Outfit Ideas’ series. 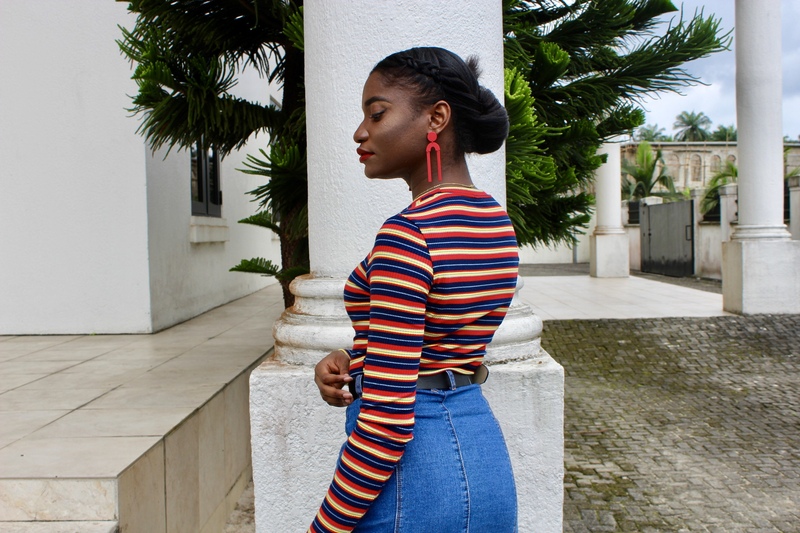 This week, it’s all about colors! 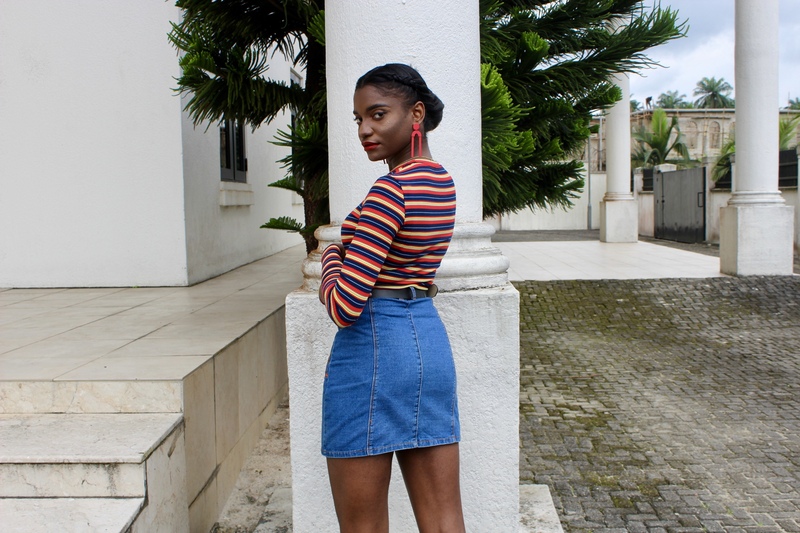 I told you that I was going to stay away from black and here I am with all sorts of colors other than black, except my bag. 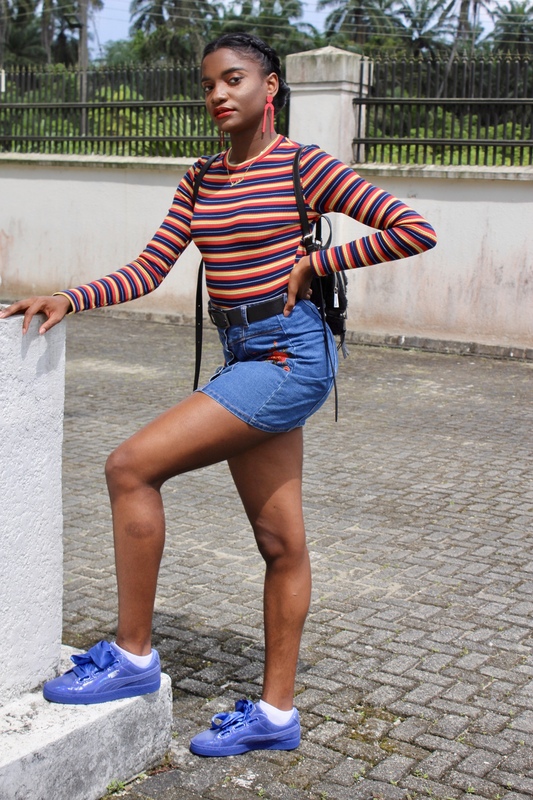 Let’s be real, the heat so far has been overwhelming, that is why I would advice to wear very light materials and keep things short. 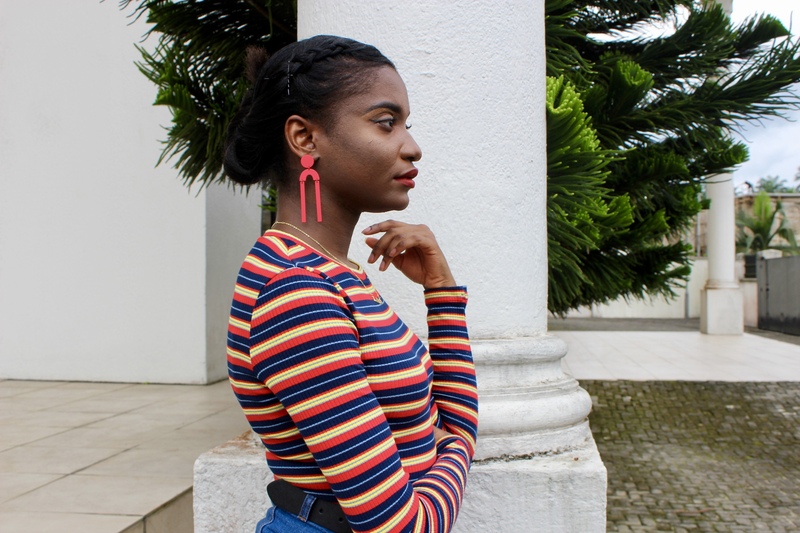 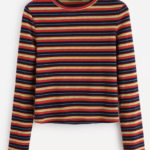 This long sleeve top from SHEIN is made up of very light material and so you would not feel hot, which is very good for this weather. 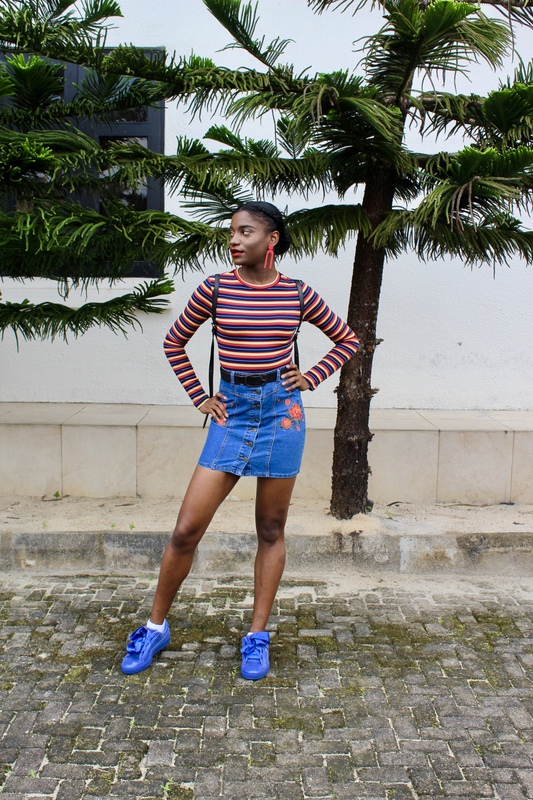 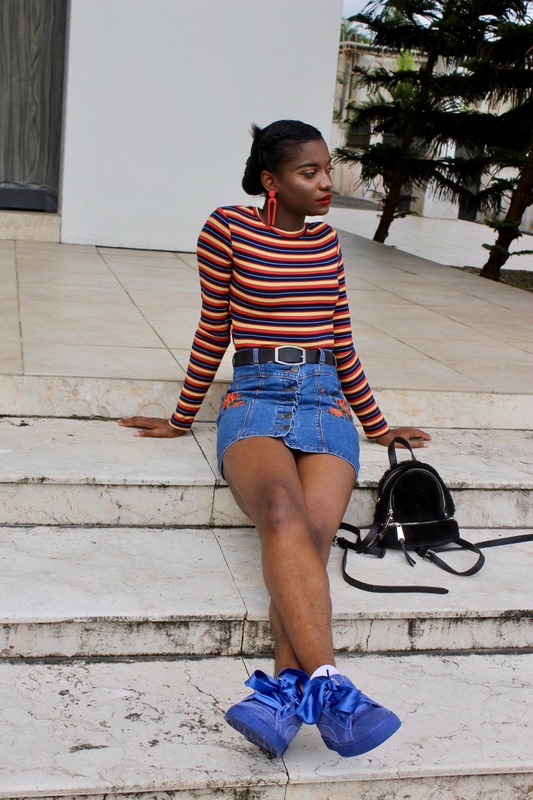 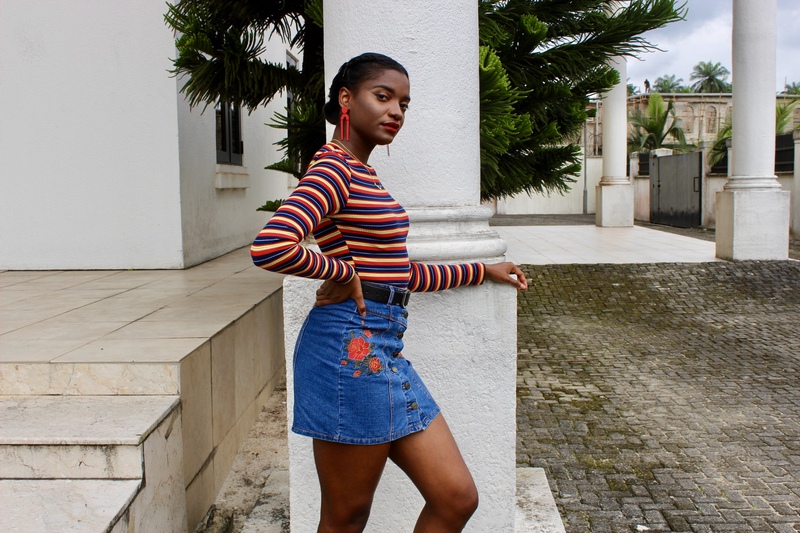 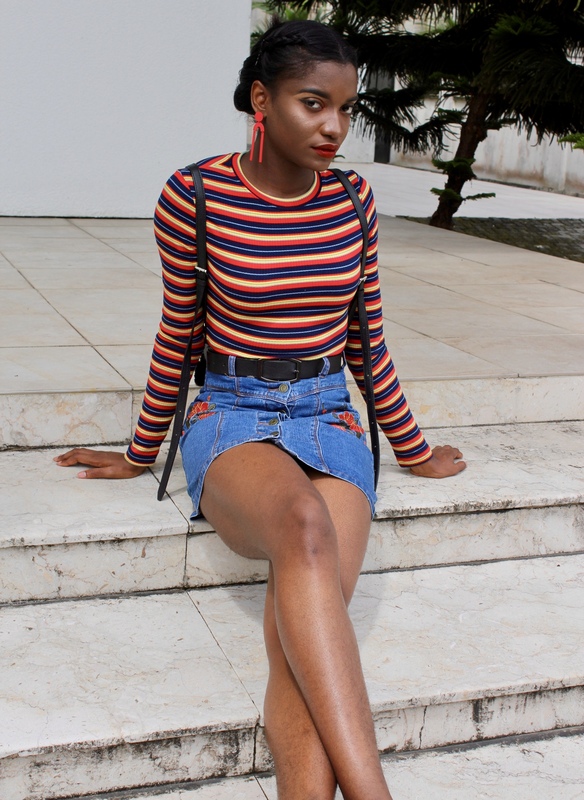 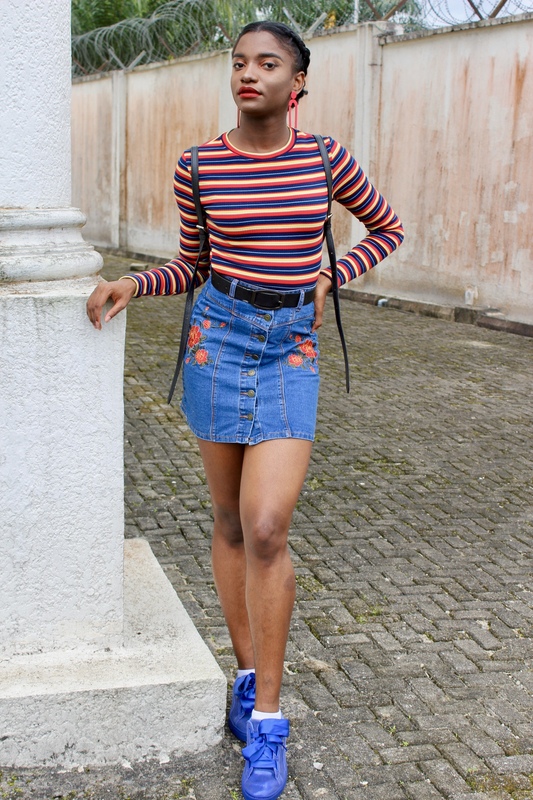 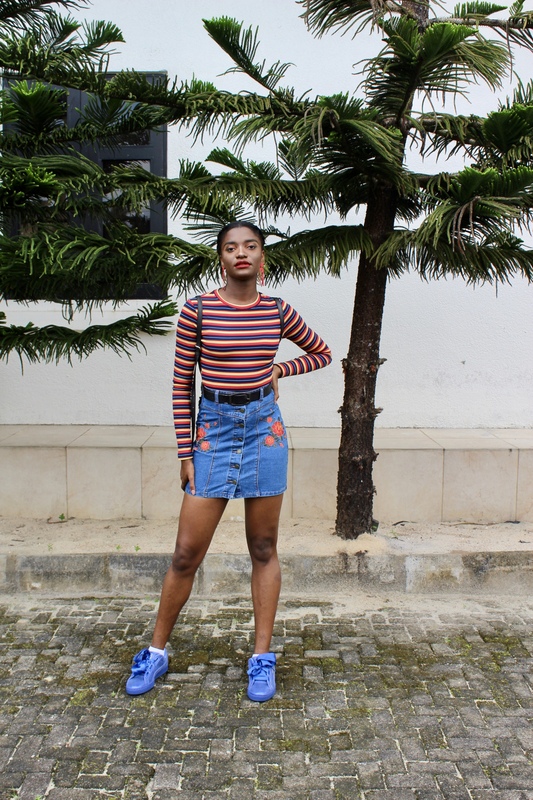 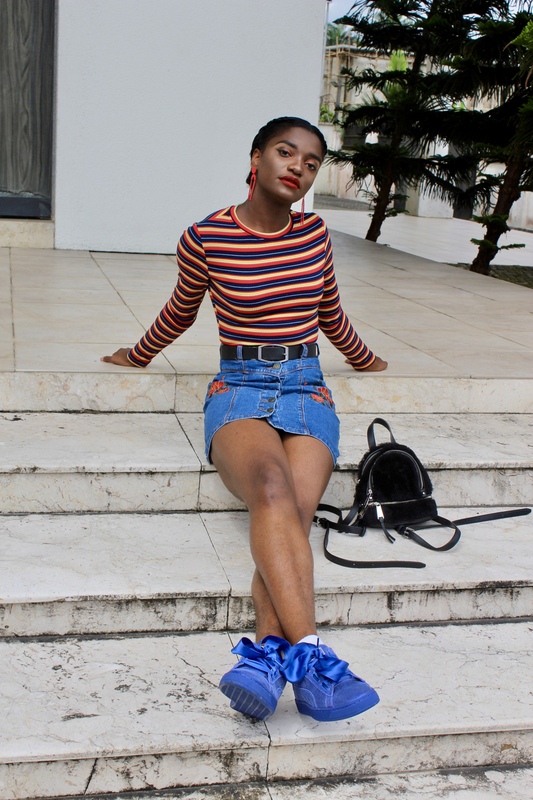 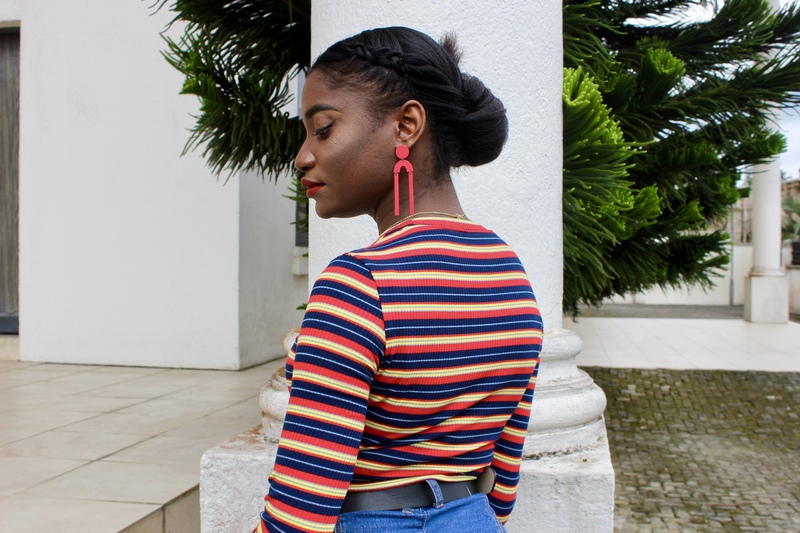 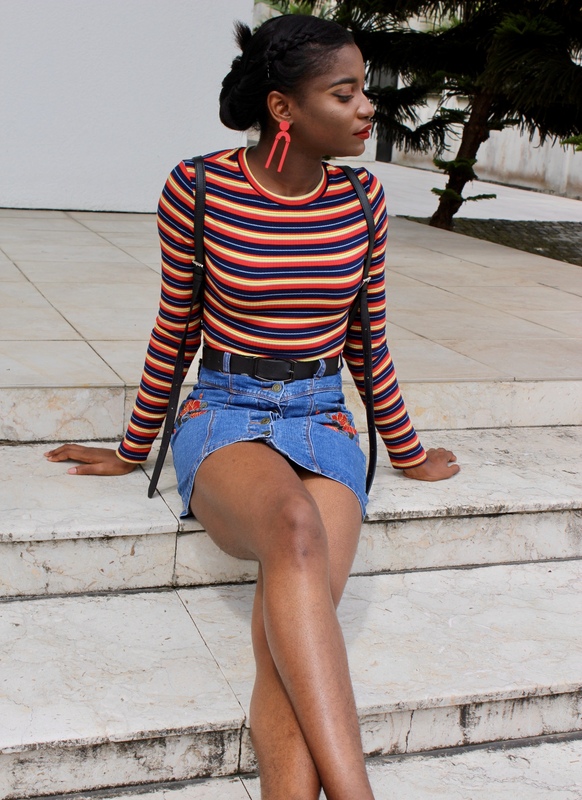 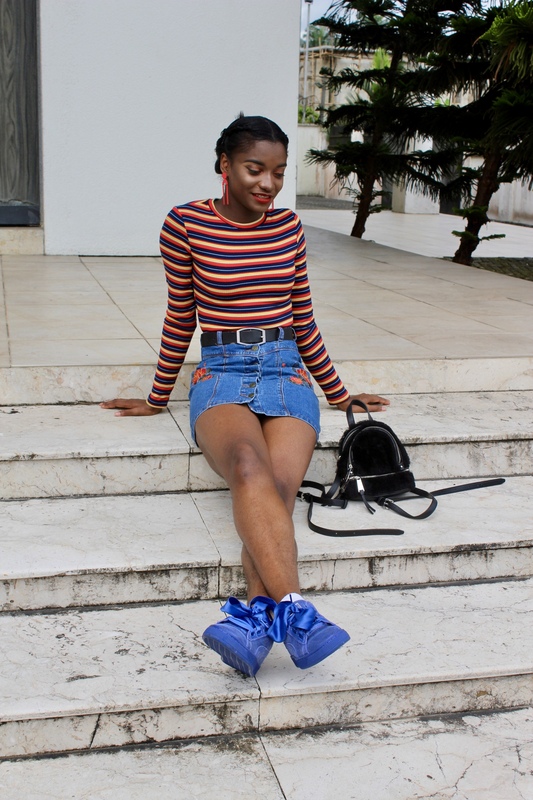 Keeping things light and short, I paired this multicolored top with a high waisted denim mini skirt and blue sneakers. 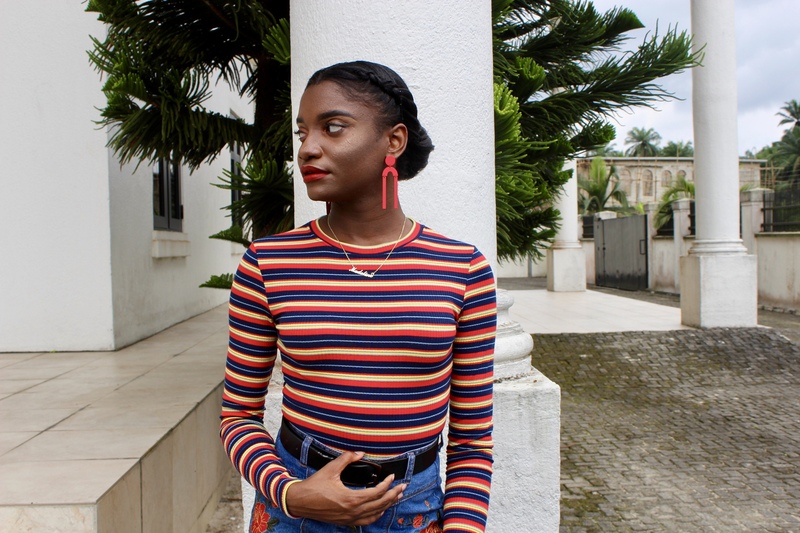 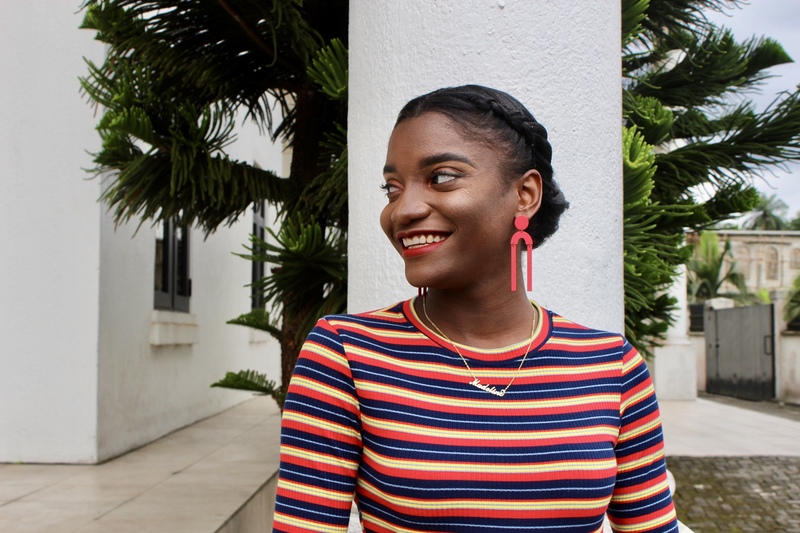 For my accessories, I decided to go for a different color on my top, hence why I wore red shape drop earrings. 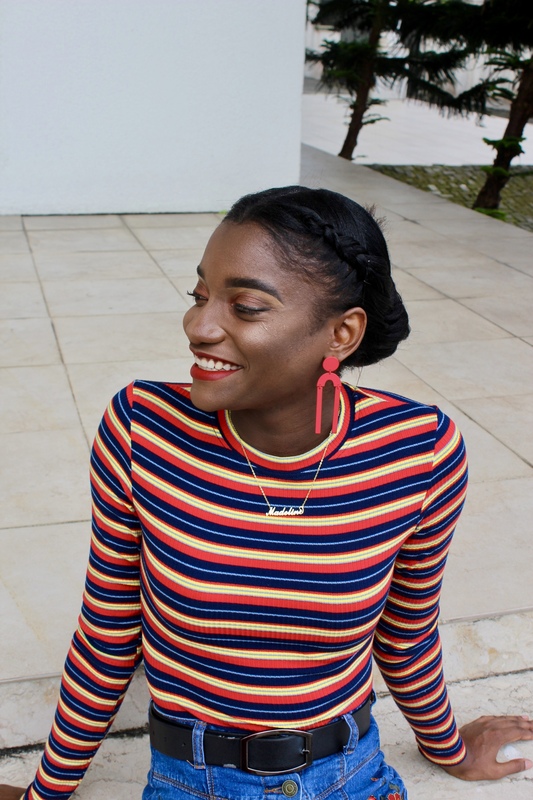 My personalized necklace is from Soufeel Jewelry. 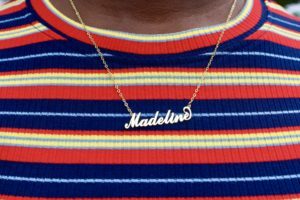 You can use my discount code ‘MADVG15’ to get 15% off your personalized necklace. 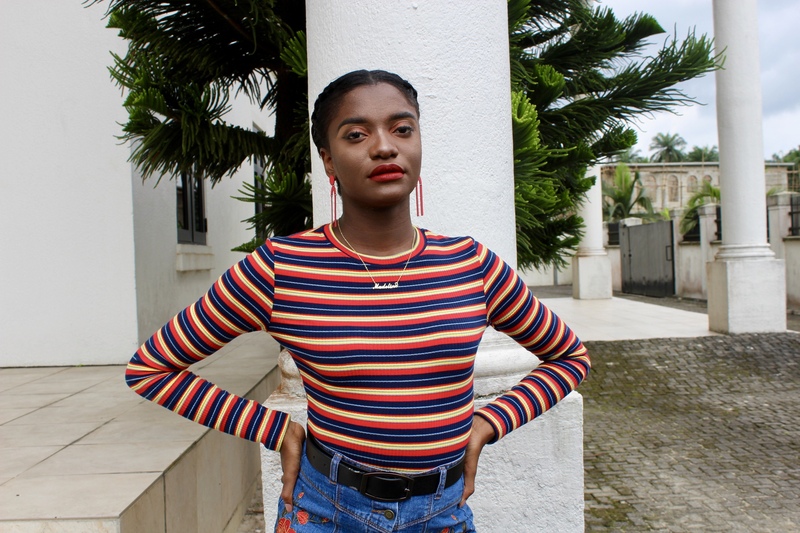 Click the image below to get your personalized necklace.